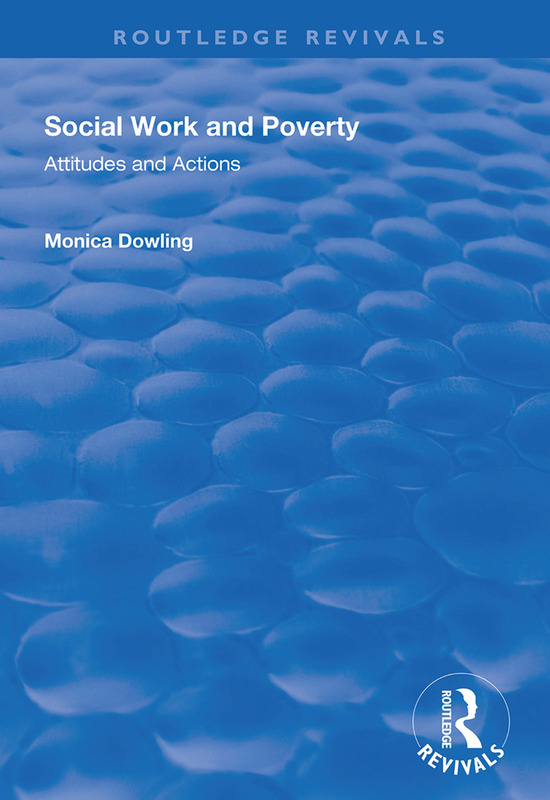 First published in 1999, this much-needed volume powerfully re-evaluates attitudes to the ‘deserving and ‘undeserving’ poor and aims to investigate social workers’ attitudes and actions towards poverty issues, social service users who have needed financial help and to question whether learning about poverty is an integrated part of social work students’ training and social workers’ in-service training. Monica Dowling has experience of being a social work student and social worker, as well as a social work teacher and researcher. In an age when increasing numbers of undergraduate and postgraduate students are unemployed and living on benefits, Dowling reveals the true picture of the people who end up on the poverty line, reconnecting social work theory and practice.